If you’ve been looking for my 2003 how-to book, Felt Wee Folk lately, you may have had trouble obtaining a copy. That’s because the publisher has sold out. I anticipated this situation and bought some a few months ago, so I have a limited supply in my Etsy shop. I even have a few copies of the French translation, Personnages et Motif on Etsy. If you want to have an autographed copy of the original edition, order very soon, because they are selling fast! 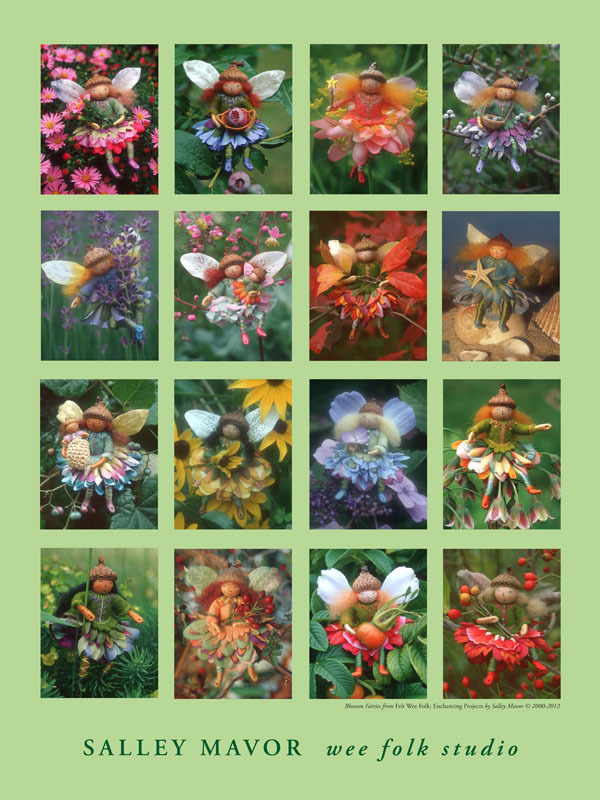 Your Etsy order of Felt Wee Folk includes a folded Blossom Fairies poster (pictured below). I’m happy that the book has had such a good run, with almost 55,000 copies in print. 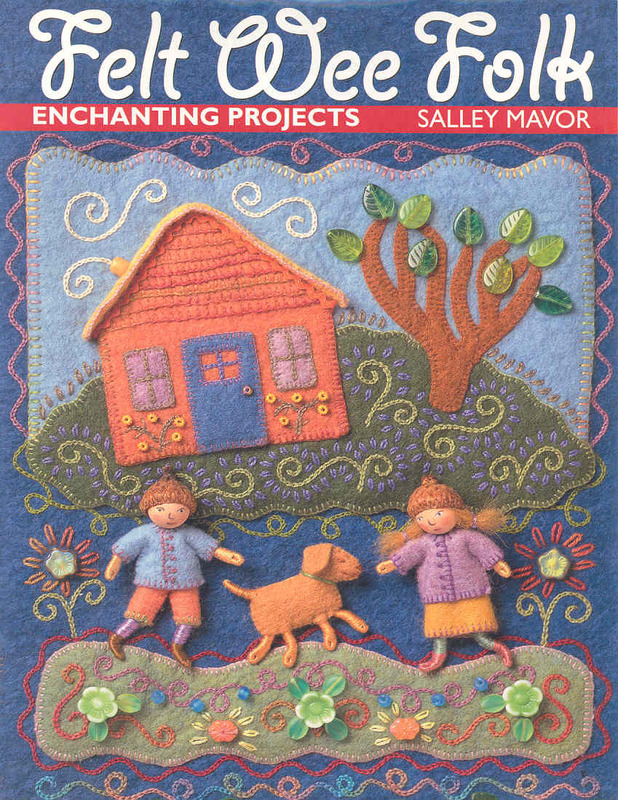 In this day and age, it’s unusual for a book to last 10 years, especially a craft book. The good news is that the book will continue to be published, just differently. 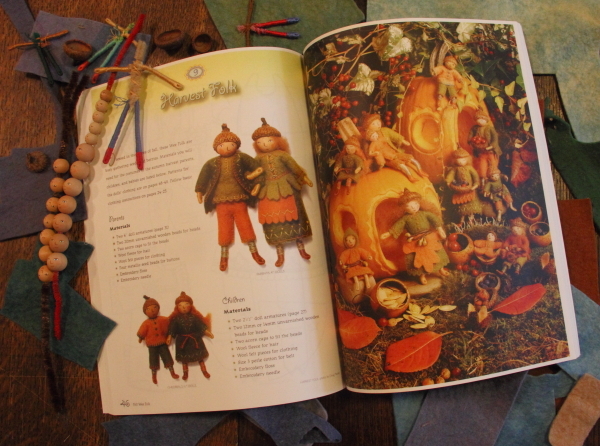 C&T Publishing, Amazon and other online retailers are offering a print-on-demand issue of Felt Wee Folk, which is shown above. The printing and paper quality are not as good as the original, but these minor shortcomings are worth having the book once again available for purchase. This entry was posted in Etsy Shop, Fairies, Wee Folk by Salley Mavor. Bookmark the permalink. Ha, my dear Salley, I was very lucky to recieve a copy as a christmas present from my daughter !!!! Glad there will be some more lucky people now ! Amazing, Salley. I have two copes of this book; one to work from, and one to keep spotless. It has brought me literally years of enjoyment. This is one of the best doll-making books I’ve ever used. Your patterns are precise and your instructions clear. I felt so priviledged to have your inside secrets to making these beautiful wee folks. Thanks so much, Mary Ellen. It’s important to me that the directions are clear, so I’m glad that you found them so! Thanks! I was lucky enough to find one several years ago. These do sell out quickly…good luck with future sales on etsy! I ran across my copy just today as I reorganized my craft closet. 🙂 I saved it off to the side so I can go through it again – so inspiring!! !